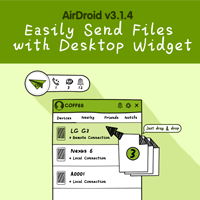 AirDroid v3.1.3 Update, Message Reply Adds Support for Kik & Telegram! 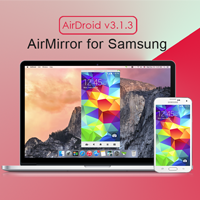 AirDroid v3.1.3 Update, AirMirror Now Supports Samsung! 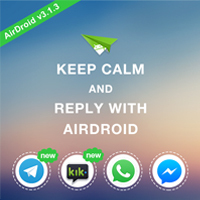 Telegram? 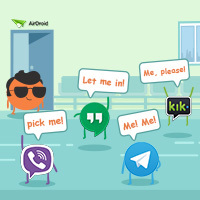 Kik? 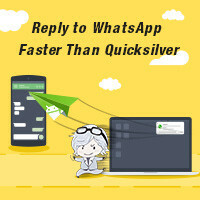 Viber? Hangouts? Or? You Have a Say of What to Support Next! 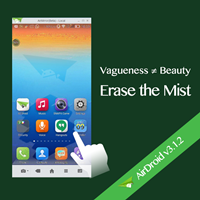 Vagueness ≠ Beauty, Erase the Mist of AirMirror and Win AirDroid Premium! 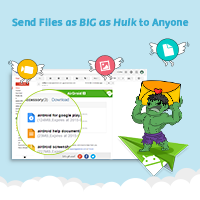 AirDroid v3.1.1 Forget the Email Attachment Limits, Send Files as BIG as Hulk to Anyone! 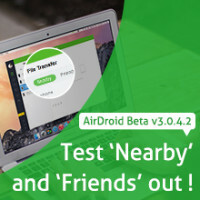 AirDroid v3.1.0 Better Experience with “Nearby” and “Friends”, and More!